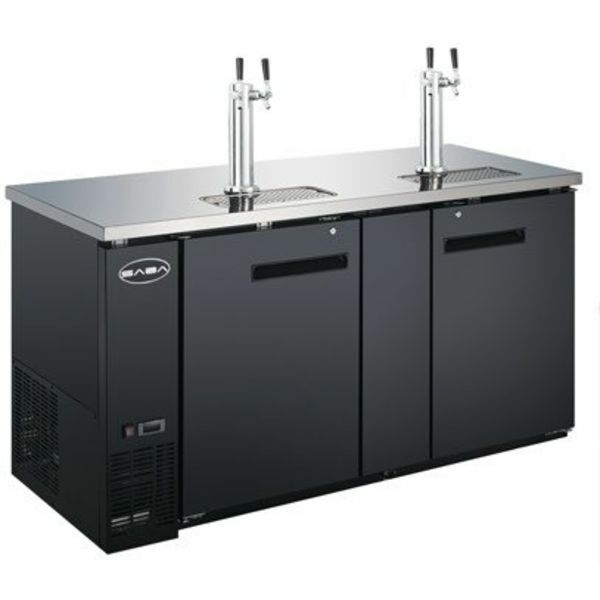 Throw the ultimate event with a commercial grade kegerator rental from King Keg! 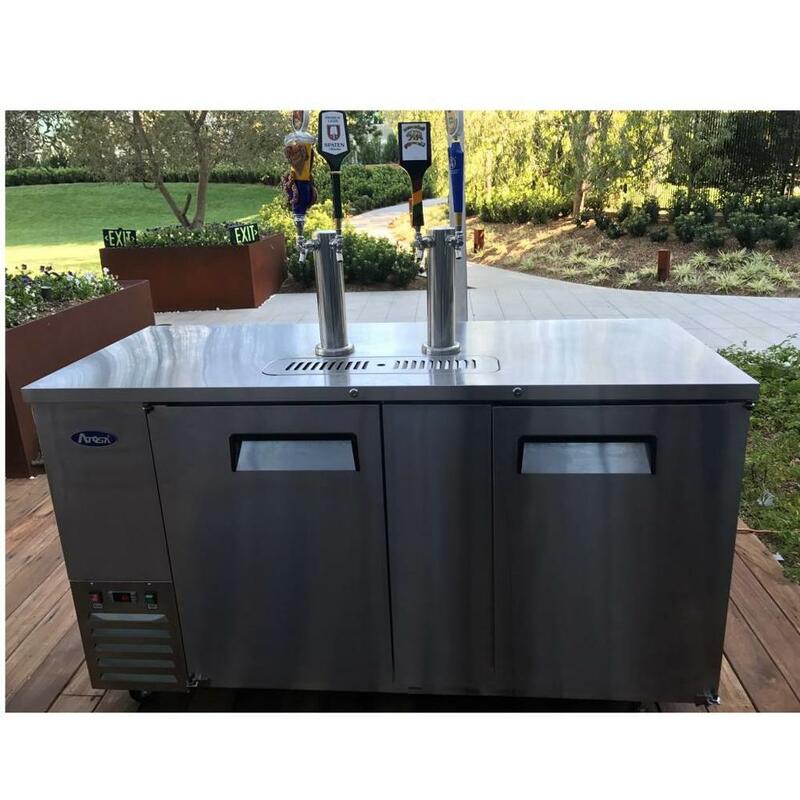 This powerful two-tap kegerator allows you to serve your favorite beer, wine, coffee, kombucha, or any other beverage straight from the tap, keeping the refreshments flowing at any corporate party or friendly gathering. 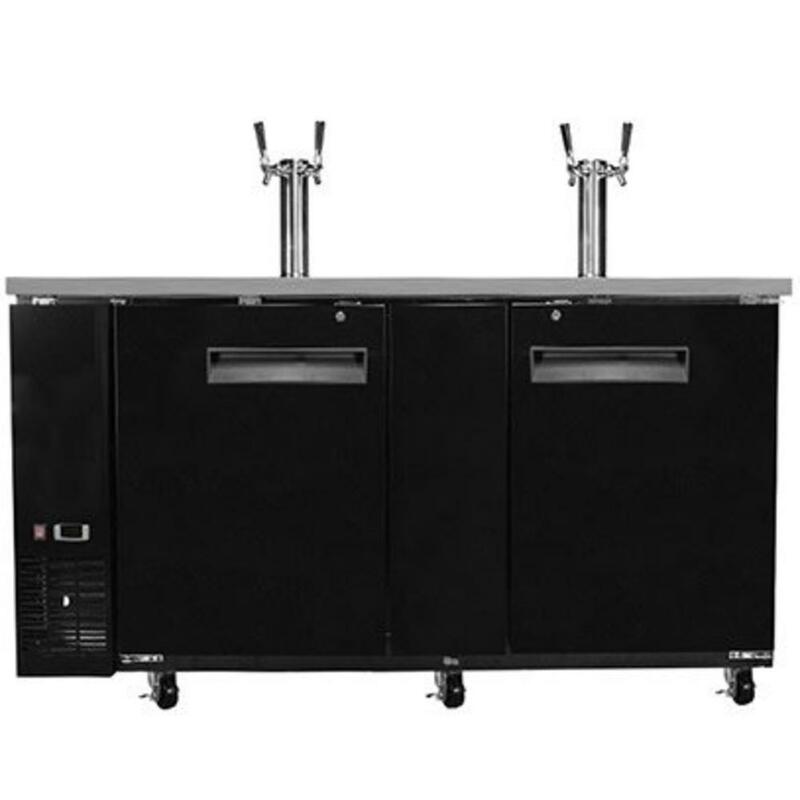 This heavy-duty beer dispenser offers ample space for two full-size kegs, and with powerful refrigeration and adjustable shelves, you can keep your kegs, cans, bottles, and mugs frosty with ease. Your rental includes CO2 or nitrogen and complete installation, so you have nothing to worry about – just enjoy your beverages! Delivery time: Same day pick-up. At least one day for delivery. Any other inquiries, please leave a comment at check out. 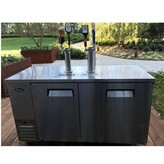 *Price listed is for 1 day rental. 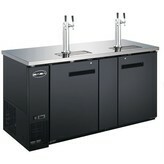 Includes installation, CO2 tank, and regulator. 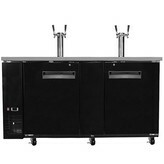 Does not include beer keg. A special delivery charge will be added depending on delivery obstacles.